For the millionth time, I will never understand why insanely rich athletes continue to refuse to get a vasectomy. It’s a helluva a lot cheaper than 18 years of extreme child support. 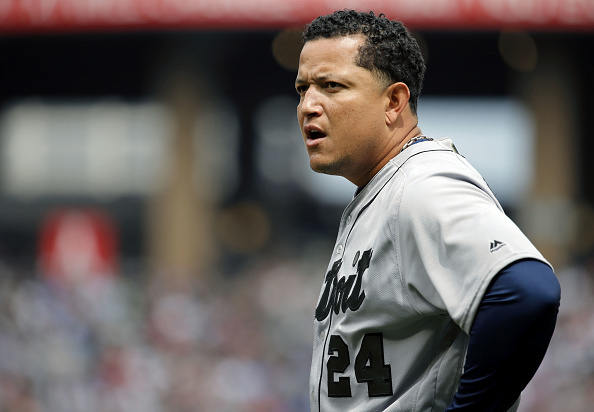 Miguel Cabrera is now the latest athlete to listen with his wrong head and now he has to pay up because of it. The Detroit Tigers first baseman not only cheated on his wife, but had not one, but two kids with his former mistress. That is insane. A judge has now ordered him to pay $20,000 a month in child support to that former mistress, reports the Detroit Free Press. According to those court documents, Cabrera must pay for the health care, private tuition, day care, extra-curricular activities and vacations of the two children he had with ex-mistress, Belkis Rodriguez. He also has to pay Rodriguez’s attorney fees as well as pay off her nearly $1 million home by July. The children, who are now six and three, will “get vacations equal to what the children Cabrera has with his marital wife, under the court order,” according to the Free Press. As bad as this is, it could’ve been so much worse as Rodriguez originally sued him to get $100K a month in child support.